This live reading was recorded at a poetry reading given by Salvatore Buttaci at the Princeton Public Library on December 3, 2009. 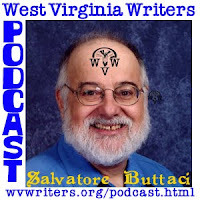 Sal is the author of A Dusting of Star Fall: Love Poems, Boy on a Swing and Other Poems, A Family of Sicilians: Stories and Poems, Sun Sparks The Day and Sal Buttaci's Greatest Hits 1970 - 2000 published in the Pudding House books Greatest Hits series. He is also the author of Painless Poetry, which is a workshop for educators teaching poetry appreciation and creative writing. His most recent book is called Flashing My Shorts a collection of flash fiction.